Since I have never been able to get up to the Lake Erie region of Ohio in the spring, this year I decided to make that happen. 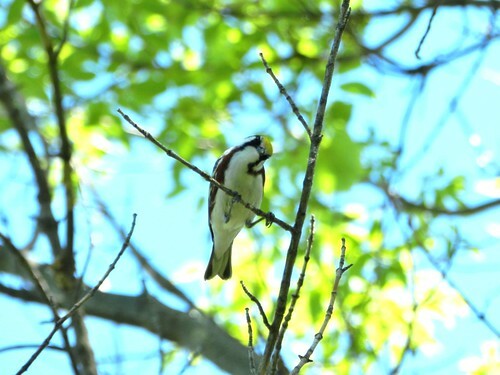 The Biggest Week in American Birding was already going strong, so there were plenty of other birders there with eyes and ears to alert to any good birds. I really wished that I could of stayed for the entire event, but work wouldn't allow that to occur. I caught the last couple of days of the event. I had arrived on the lake on a Thursday afternoon having had a six hour drive due to traffic from a automobile accident. I got there just in time to attend Birdchick's Birds and Beers event. It was nice to meet many of my online birding friends as well as those that I have not seen in a long while. Some of which included Birdchick, Janet Kissick Hug, Linda Rockwell, Dawn Simmons Fine, Debbie Miller and Gunnar Engblom. Since I have seen pictures of the many birders on the boardwalk at Magee, I kind of knew what to expect before hand. I am not one that likes to bird in big crowds. I usually bird by myself. When I finally arrived at the boardwalk however, I found there to be not as many people as I expected. Most were crowded along the first section to the observation tower. After that, people were very spread out. Here is a shot of some of the cars at Magee. I would have taken a picture of the birders, however I want to assure a certain ODNR watercraft officer that I really do take pictures of birds and not people while on ODNR lands (there is a story to it). This was standing in the middle of the parking lot on one side (there are two sides for those that have never been there). 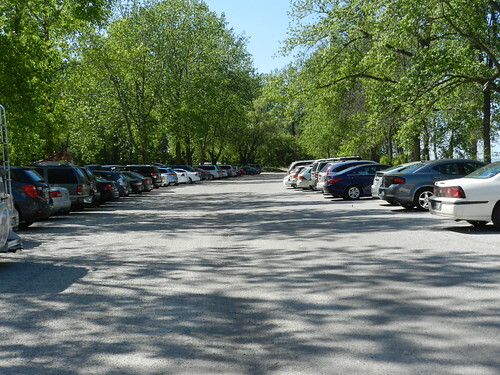 This is about half way between the two parking lots. Cars were on both sides the same length as seen here. 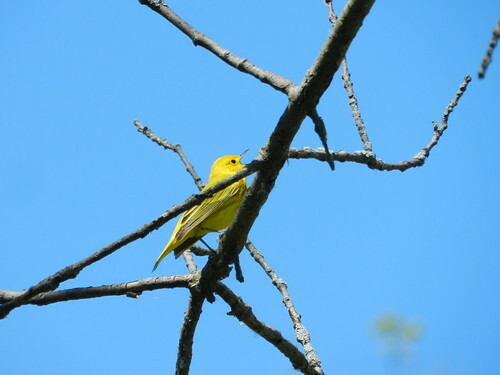 Once on the boardwalk, I noticed that the most common warbler was Yellow Warbler. They were everywhere. 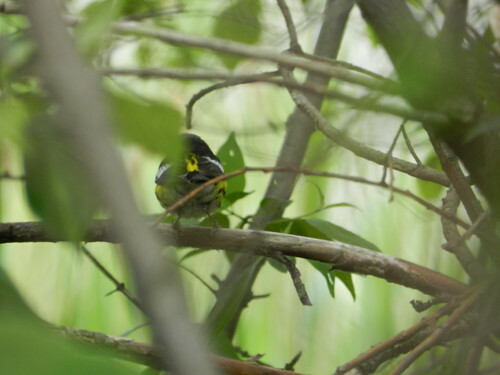 I am used to seeing warblers far and up. It was hard getting used to seeing them too close to focus my big zoom lens point-n-shoot camera! 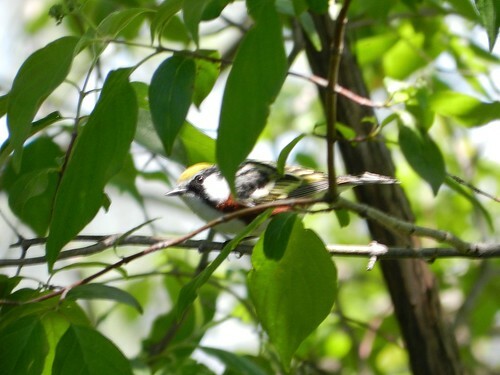 Here is a very cooperative Chesnut-sided Warbler, almost too cooperative! Seemed to "glow" in the low light like he was radio active. Such a nice looking bird. 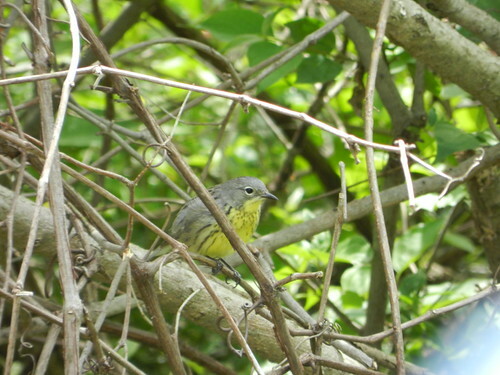 The warbler decided to come close and give some funny expressions. I really love the expression here! 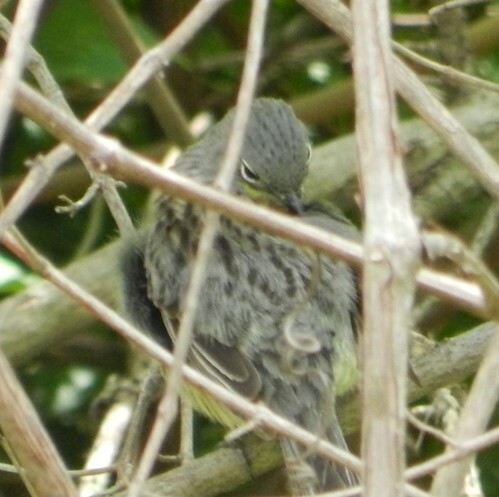 Here is a Cape May Warbler that just sat on the edge of the parking lot for a while. The heavy leaf out made lighting a challenge. 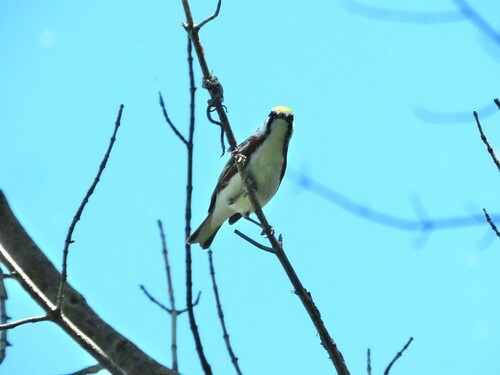 I was expecting to see many more Magnolia Warblers than I did, only a handful. As of this morning, I noticed a good deal of them around still. I was only able to get the rear end of one. 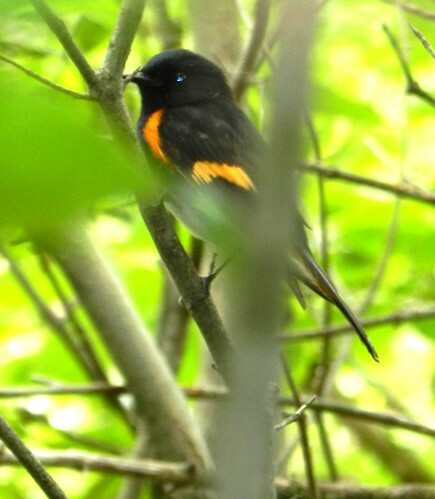 There were many American Redstarts around. Again, the lighting was a challenge. 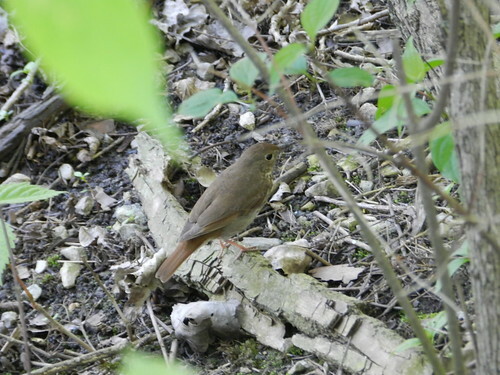 Spied this Hermit Thrush walking around at my feet on the boardwalk. 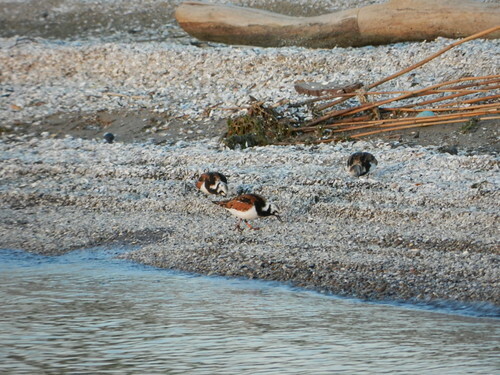 One of my most needed group of birds is shorebirds. I have a lot of holes in that area, as there isn't much in the way of quality shorebird habitat in this part of the state. Have I known the area better, I think I could of gotten some that I need. 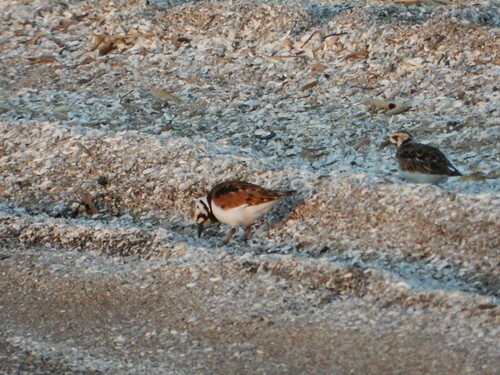 Here is a shorebird that was right off the boardwalk. 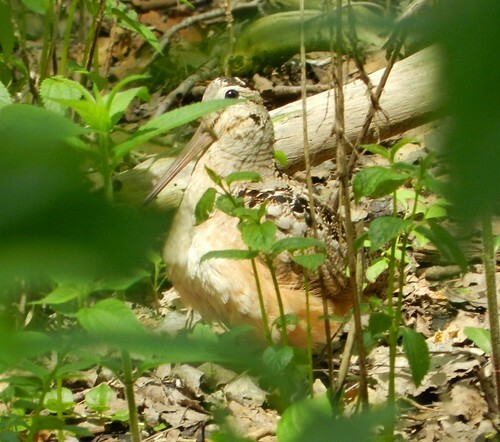 This American Woodcock was with a baby. I could not get a shot of the baby, as there were too many people to see it from my position. After Magee, I decided to head to Maumee Bay State Park. I have only been here a couple of times and always see good stuff here. Just as it was getting dark, I saw shorebirds flying around on the beach. 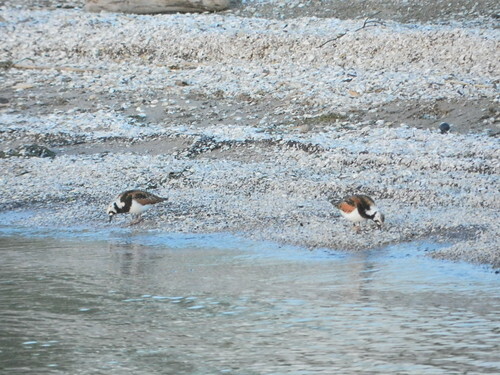 I decided to go check them out and found three Ruddy Turnstones. 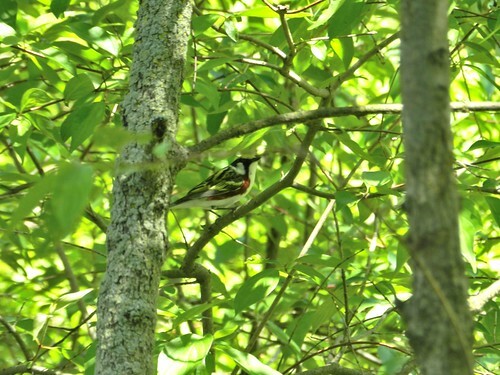 I have only seen this bird once, and it was a very brief glimpse at Caesar Creek State Park. Before seeing the turnstones, I took a walk on the boardwalk. 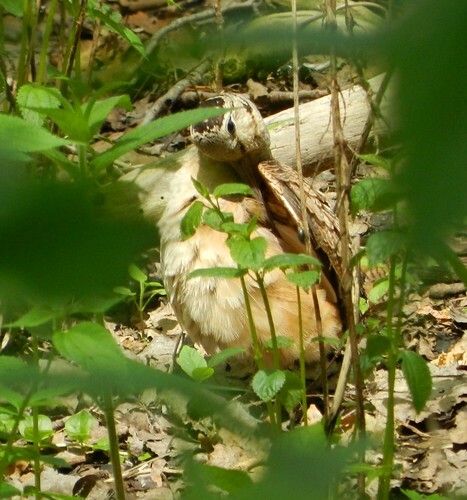 I heard a Wild Turkey gobbling and a couple of people I passed on the boardwalk said that there was a turkey ahead. Here is what I found. 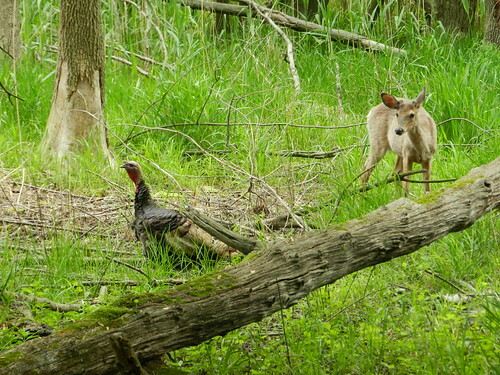 A young buck and a Wild Turkey in a standoff. I decided to end my two day trip on the boardwalk at Magee. I am glad I did. 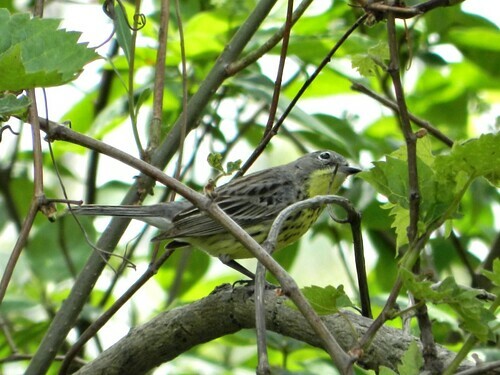 There was a report of a Kirtland's Warbler on the new Crane Creek Estuary Trial. 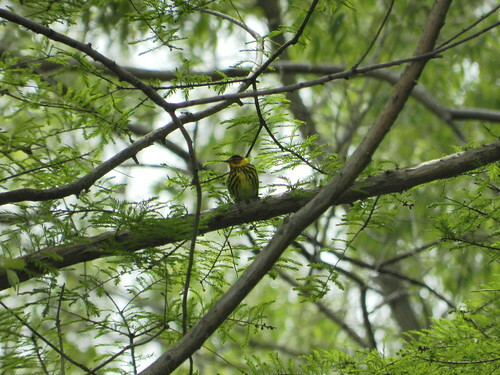 While not a life bird, the one glimpse I had of one was very brief. This particular female was very cooperative and allowed many people to view her. This was definitely worth the trip. Little bit of streaking on the head. Had a wonderful time, much needed escape. Just wish I had more time up there. Hopefully, I can make it up next year. Not long after I got back, there was a Least Tern and White-faced Ibis up there. Happens every time! 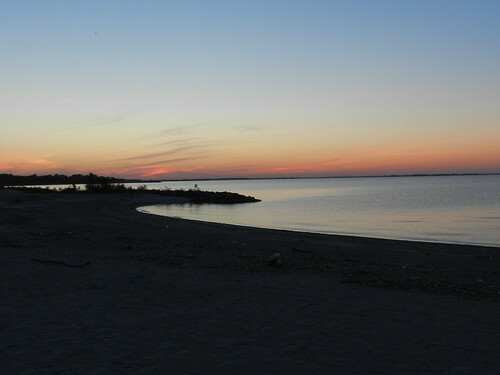 I will leave you with this sunset from the beach at Maumee Bay State Park. Very nice natural photography. Mostly I like the pictures of warblers and enjoy their expressions. 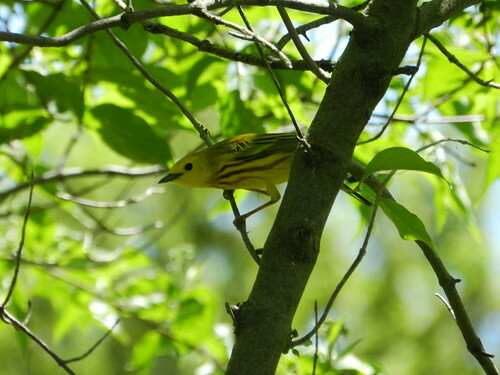 So many glorious, colorful warblers! Don't you just love spring migration? 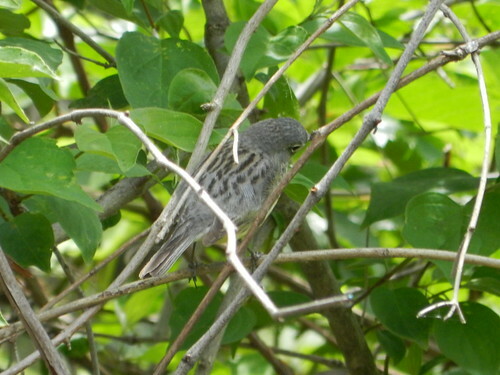 Sounds like you had an enjoyable time birding in Ohio. Terrific photographs! It sounds like you had a marvelous time Donald! Donald, I'm glad you were able to make it there for a couple days. I wish I could have joined you. 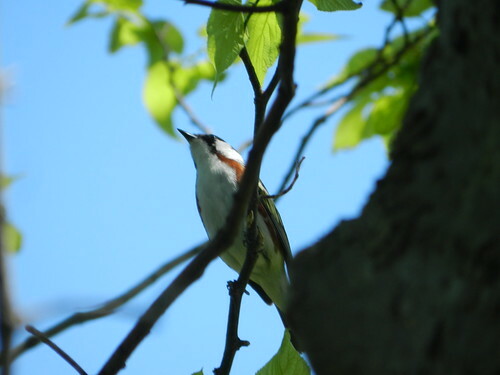 Sounds like a fantastic time seeing wonderful birds and meeting awesome birders and bloggers. One of these days I'll make it there. Nice work with some wonderful warblers! What a wonderful trip. Too bad about the accident (for the drivers) and the traffic back-up (for you) but it looks like you made the best of things and saw some great birds.